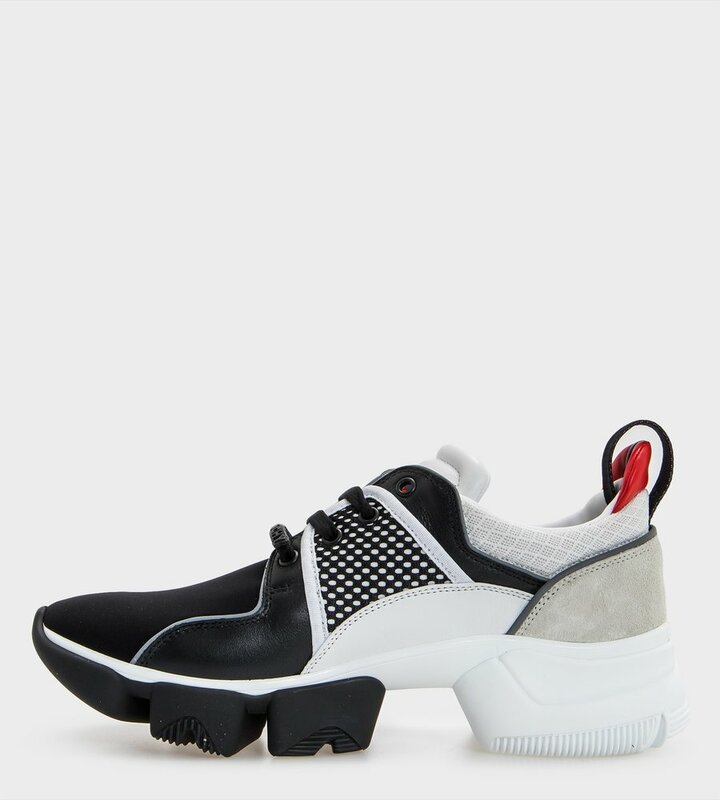 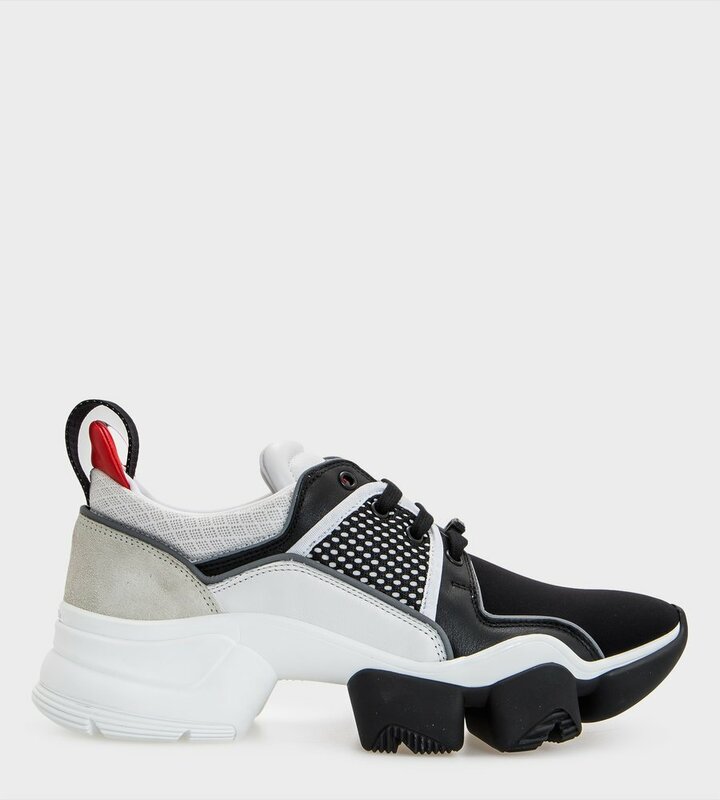 Black and white Jaw sneakers in neoprene, mesh, suede, and leather with thick shark jaw-style notched sole, black rubber patch with GIVENCHY signature on the tongue, and black rubber GIVENCHY plaque on the laces. 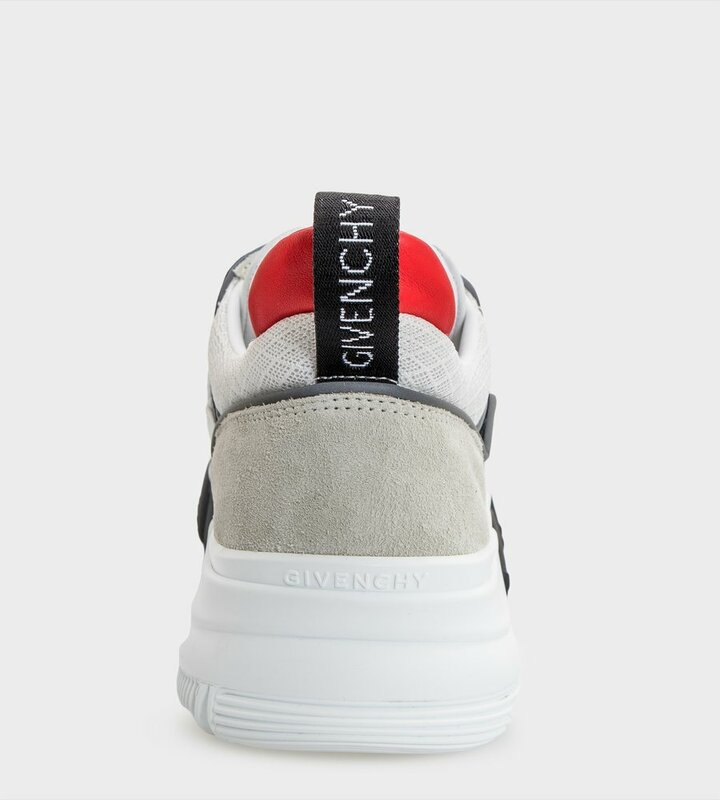 Red leather reinforcement and black GIVENCHY jacquard band on the back. 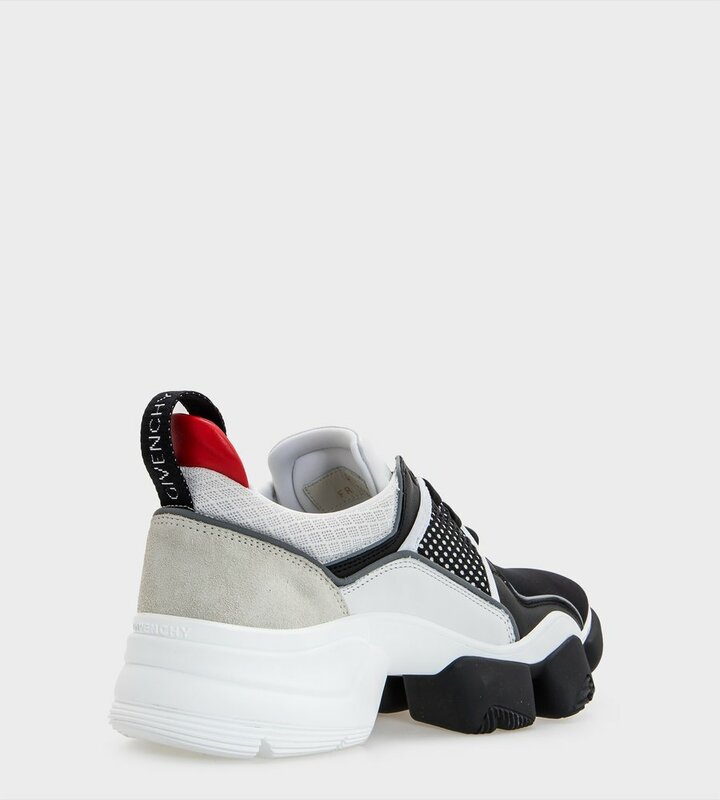 GIVENCHY signature in relief on the heel. 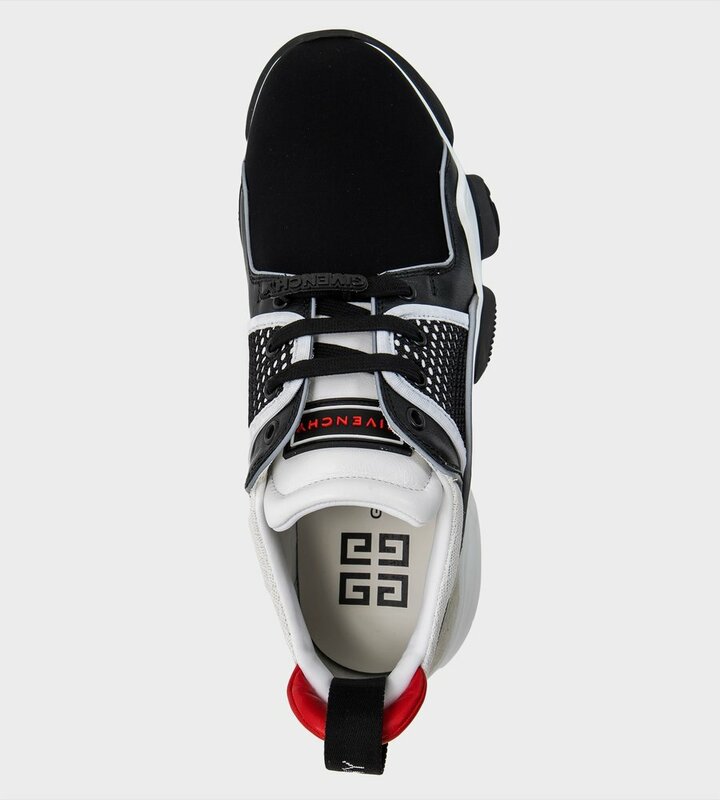 4G emblem on the insole.